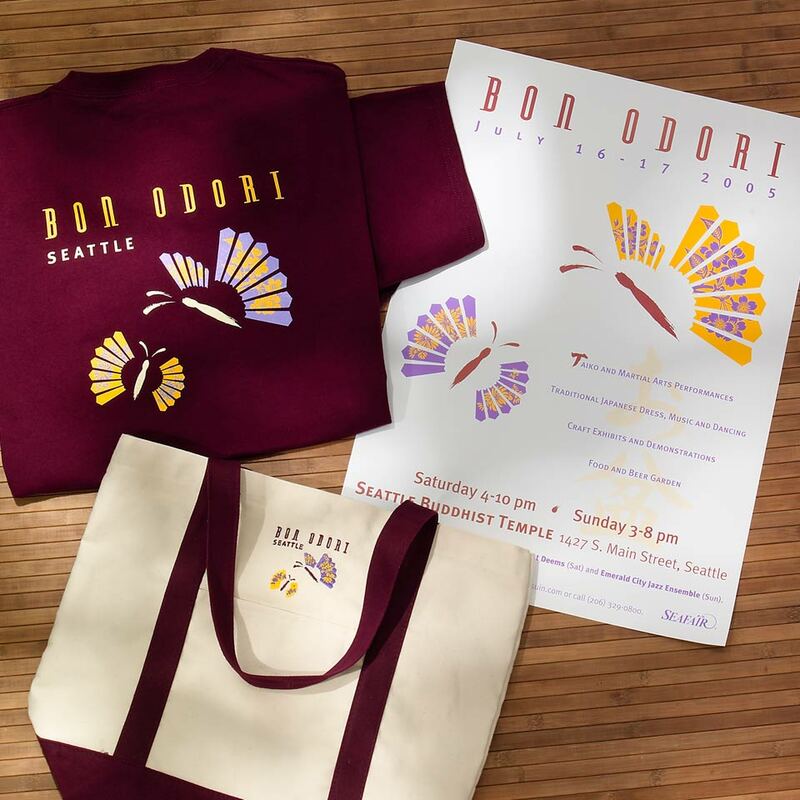 The Seattle Bon Odori festival is a traditional Japanese dance festival and an official Seafair event which takes place every summer in Seattle’s International District. My design for the festival combines a symbol of a folding fan with a butterfly which together communicates the use of folding fans in traditional Japanese dance as well as the season of summer. In addition to designing the festival’s poster, T-shirts and tote bags were also designed which were sold at the festival.